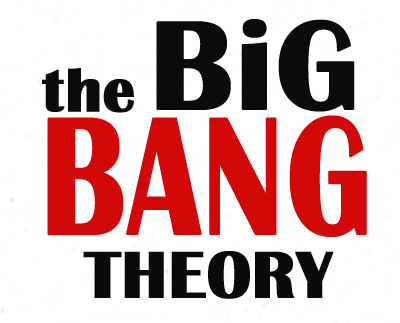 Fans are in for an emotional goodbye as "The Big Bang Theory" rolls into its 12th and final season preparing its end in May of 2019. But did you know that four of the cast members share a common connection outside of the show, in their love of animals, the environment, and overall good health by being either vegan or vegetarian? We all know and love Mayim Bialik, a real-life neuroscientist who plays Amy Farrah Fowler, a neurobiologist on the show. But what you might not know is that she is also a vegan activist and cookbook author of Mayim's Vegan Table , a book that features over 100 plant-based, family-friendly recipes. Though Bialik is a longtime vegan, she's also a big fan of the plant-based health documentary “Eating You Alive.” In addition, Bialik has her own YouTube channel where she tackles a variety of topics that relate to life, family, and nutrition, including one that's called 5 WORST Things To Say To A Vegan. Kaley Cuoco began starring in the CBS sitcom in 2007 as Penny, a Cheesecake Factory employee and aspiring actress who lives across the hall from physicists Dr. Leonard Hofstadter and Dr. Sheldon Cooper. In her real-life, Kaley is an actor, an animal-lover, and a vegetarian. She recently appeared in a video for Paw Works, a nonprofit animal rescue organization located in southern California. Sara Gilbert is probably best known for her role as Darlene Connor on the ABC sitcom "Rosanne." She appeared on The Big Bang Theory in 2007 as Leslie Winkle, a scientist friend, and eventual love interest of Leonard Hofstadter, and remained a regular on the cast through 2010. Gilbert has been a vegetarian since she was 13 years old, making the switch to vegan several years ago. Gilbert also authored a book called "The Imperfect Environmentalist: A Practical Guide to Clearing Your Body, Detoxing Your Home, and Saving the Earth (Without Losing Your Mind)." Gilbert wed musician Linda Perry at the beautiful One Gun Ranch in Malibu, Calif, in 2014, enjoying a cocktail party with friends before the ceremony, and a strictly vegan menu after. Johnny Galecki, a real-life vegetarian, plays Leonard Hofstadter on The Big Bang Theory, an experimental physicist, who is the best friend to Sheldon and husband to Penny. You might also remember Galecki from starring on the ABC sitcom "Rosanne," as Darlene's love interest David Healy. Galecki has been in more than a handful of movies throughout his acting career, with his latest film "Rings" in 2017. Galecki owns 360 acres of land in Santa Margarita, California with vineyards on it as opposed to livestock, which he says "better align with his vegetarian beliefs." An animal lover for sure, according to Galecki's Instagram, he adopted one very cute and completely lovable "Vera Rose" in 2014, a gift reportedly given to him by his TBBT co-star, Kaley Cuoco.